Mery Lopez has been helping people with Real Estate matters for over 10 years. Her dedication to her clients is only matched by her service to the local community. Attorney Lopez is a specialist in all areas of Real Estate transactions, litigation and negotiation. She works with both buyers and sellers. She handles short-sales and loss mitigation in distressed Real Estate transactions. She has represented both lenders and mortgage holders in hundreds of loan modifications. Her experience includes working on both sides of landlord tenant disputes. Many of her clients return time and time again and they are happy to provide references upon request. 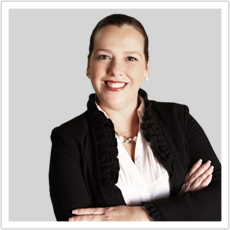 As the Managing Partner of her own firm, Mery Lopez has provided her clients with an exceptional level of service since 1991. Prior to starting her own law firm, Ms. Lopez was Senior Attorney/In-house Council with the Keyes Real Estate Company. In that role she facilitated the title closing process for her team, trained, marketed and developed team members and resolved numerous issues each and every day. In one of her most challenging roles, Ms. Lopez served as Senior Attorney-In House Counsel/Director of Corporate Pricing for Airborne Express from 1991 to 2001. As a company executive, Attorney Lopez managed over 280 million dollars in new business in the United States. She also researched and wrote memoranda of law to partners regarding legal issues covering all areas of contractual law, federal and state civil procedure, transportation procedure, jurisdictional questions, and professional responsibility questions. She handled dispute resolutions and negotiations with other counsel to achieve final contract acceptance. Her dedication to the community is easily apparent as she serves on Board of the Cuban Orthodox Organization, is a member of Southeast Florida Chamber of Commerce, and other Community Outreach Organizations. Ms. Lopez is politically active and is continuously fighting to help maintain the freedom that all of us currently enjoy. As a bilingual Cuban-American, Attorney Mery Lopez welcomes clients of all nationalities to her office on Miami Beach. office and further explore our qualifications. Better yet, make an appointment to stop by and discuss our qualifications in person. Call (305) 882-2739 to discuss our qualifications today and get a free consultation. Our firm is very cognizant of the impact that Loss Mitigation has on the liquidation process and our office has trained representatives who can assist in the preparation of Repayment Agreements, Deeds in Lieu and Modification Documents to assist the mortgagors, servicers, investors and insurers. Our ultimate goal is to use the most cost-effective method of liquidation for the mortgagors and our clients.